The latest round of talks lasting six days between the Taliban and American representatives in Doha, Qatar, produced concluding statements showing how much ground the two sides have covered in getting closer than ever to an agreement. The dialogue by itself is a major achievement in bringing together the U.S. and Taliban – the two main parties in the long-running Afghanistan conflict. The Taliban had always insisted it would only talk with the Americans who they regarded as responsible for installing and controlling the present government in Kabul. The Americans, meanwhile, have shown pragmatism in starting direct talks with the rebels without Afghan government involvement, for, without doubt, the latter would have liked to play a leading role. Let us also give credit to the current Afghan government for showing maturity by not insisting it be part of the talks from the word go. In response, Zalmay Khalilzad, the U.S. special envoy, has been keeping President Ashraf Ghani informed about what has taken place. Reports now suggest a framework has been agreed to end violence and put the country on the path to peace and development, although, so far, nothing has been shared officially and the two sides maintain a tough public posture. The Taliban insist on holding to their demand that U.S. should withdraw its forces before any tangible progress can be made towards peace. On the other hand, Khalilzad has said that nothing will be agreed until everything is agreed. America's key demand has always been that the Taliban should recognize the elected government in Kabul as well as endorse the existing national constitution ensuring democracy and elected government. Another major condition by the U.S. and the international community is that the Taliban should not allow any militant group to use Afghanistan as a base for militancy against any other country. Additionally, they should also respect universally-accepted human rights, including those related to women, and avoid to repeat the gross violations that typified their rule in the 1990s. When we talk about forward movement, it means that there are positive developments on all these vital issues as the peace process is carefully nurtured. 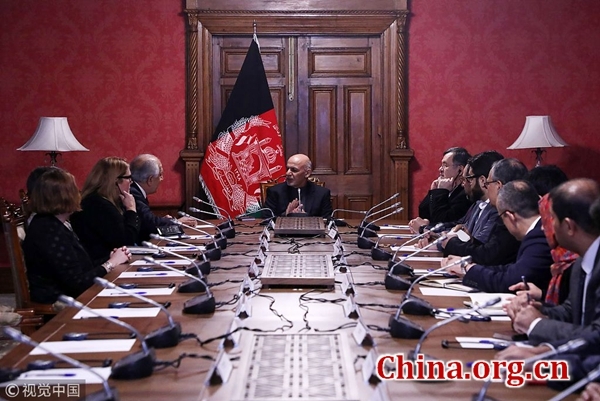 The next milestone will be agreement on a ceasefire linked with an announced schedule for an American troop withdrawal, thus creating an environment for direct talks between Taliban and Kabul government. President Donald Trump has already pledged to bring home the soldiers from Afghanistan in order to terminate the longest war his country has waged so far. Pakistan played a crucial role in bringing Taliban on the negotiating table. Its positive efforts started with the release of Mullah Abdul Ghani Baradar last year to lead the Taliban side in the talks. The key stakeholders including U.S., Taliban, Afghanistan and Pakistan are directly or indirectly part of the process. Other countries like Saudi Arabia, the UAE and Qatar are also involved. Major powers like China and Russia have also expressed their support. Countries like India and Iran have not said much about the ongoing talks, but apparently India is in the loop. How Iran will react to the final deal is not clear, but it has already begun mending fences with the Taliban and will not be overtly reactive or oppose their return to Kabul. The upcoming deal will be win-win for everyone. The Taliban will be vindicated as U.S. will announce a pullout and will use this to claim victory. The key U.S. demand would be met after Taliban accepted the existing Afghan constitution and pledged not to use their land, or allow it to be used by militants, to work against the interests of Washington and the rest of the international community. Afghanistan obviously will be the actual beneficiary if the peace deal can end more than four decades of suffering and bloodshed. The regional security dynamics will also improve and unleash a lot of economic activity, directly benefiting all its neighbors. Finally, the end of the Afghan conflict will heal the last wound of the Cold War period and also put a lid on the saga on "The Great Game" between major powers prevailing since the 19th century. Talks between American representatives and the Taliban in Qatar finally offer some hope of peace for Afghanistan that has been embroiled in various rivalries ever since the 19th century.